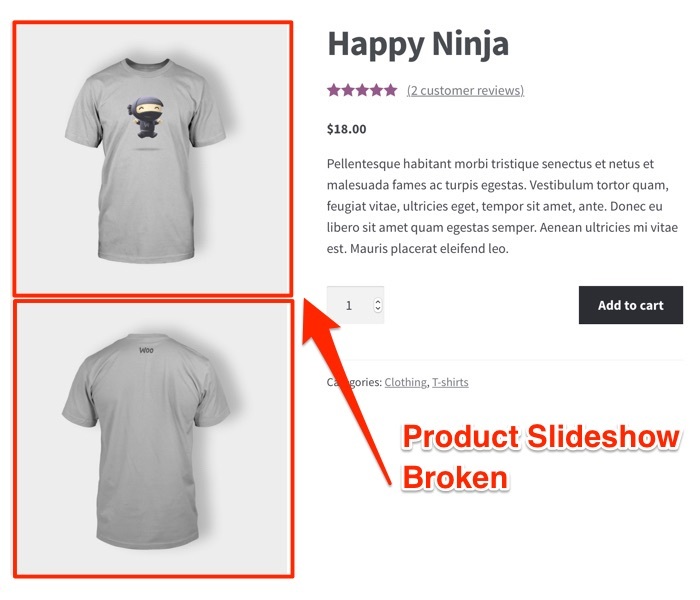 I recently upgraded several ecommerce sites and ended up with Product Image Lightbox Broken WooCommerce 3.0. The following tutorial explains how to fix the problem. When I say the product image lightbox is broken in WooCommerce 3.x, I mean this: when you click on a product image on the product page, it opens in a new page instead of displaying the image in a lightbox on the product page. Also, if you have a product slideshow, all the images display at once. Open the functions.php file for your WordPress theme. Note: If you are not using a child theme, then you should create one. If you don’t use a child theme, the code changes this tutorial will be overwritten if you update your theme. You can delete any theme support functions you don’t want to use; for example, you can delete line 1, wc-product-gallery-zoom, if you don’t want the product zoom feature. Save the functions.php file and then test the product pages to verify that the WooCommerce product lightbox and slideshow are working. IMPORTANT: If you use the wc-product-gallery-zoom feature, then the lightbox feature doesn’t work when you click the image; instead, you have to click the magnifying glass icon on the image. 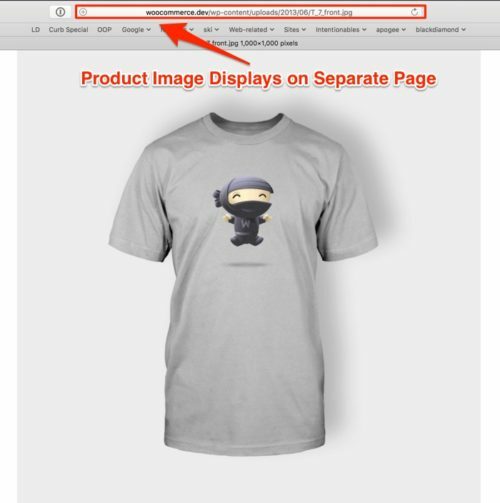 If you want the lightbox feature to work when you click the image, disable the wc-product-gallery-zoom feature.